Pecan Pie Brownies are just the brownies for Thanksgiving. 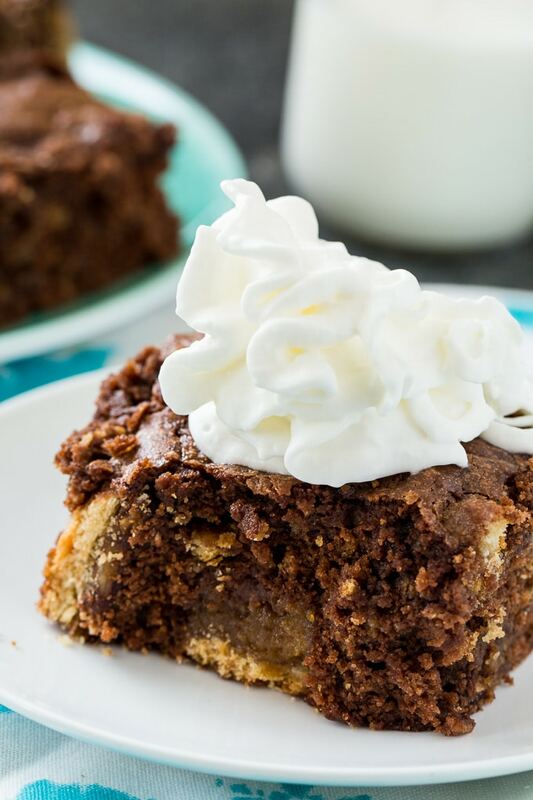 These chocolaty brownies have chunks of pecan pie baked into them. It’s a combination of two delicious desserts that really work well together. Especially with a scoop of vanilla ice cream. The pecan pie portion of this recipe is a frozen pecan pie that is cut into chunks. Crust and all. 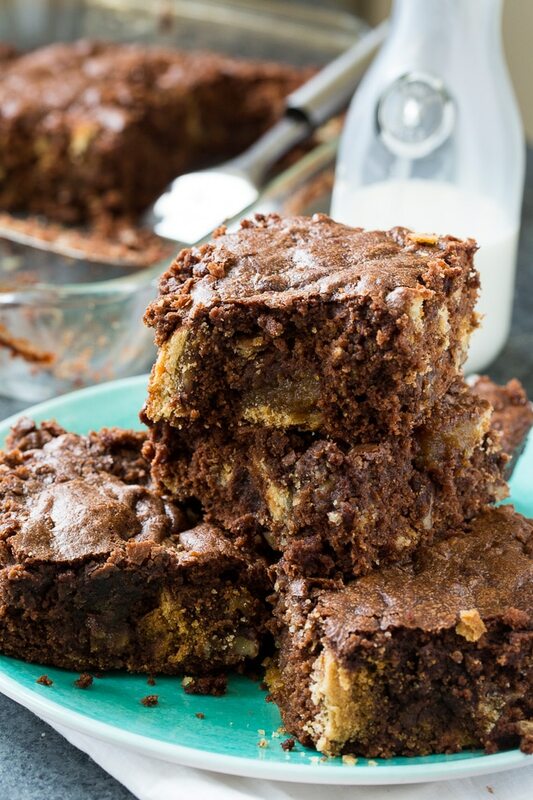 The brownie portion of this recipe is a homemade brownie batter made from butter, semi-sweet chocolate chips, sugar, eggs, milk, flour, and baking powder. Remove the pecan pie from the freezer about two hours before baking the brownies. I use an Edwards frozen pecan pie. Chop up the whole pie into bite-sized pieces, crust and all. The pieces of crust give an interesting flavor, kind of like graham crackers. If you just want the flavor of the pecan pie filling, you can not use the crust. Pecan Pie Brownies are just the brownies for Thanksgiving. 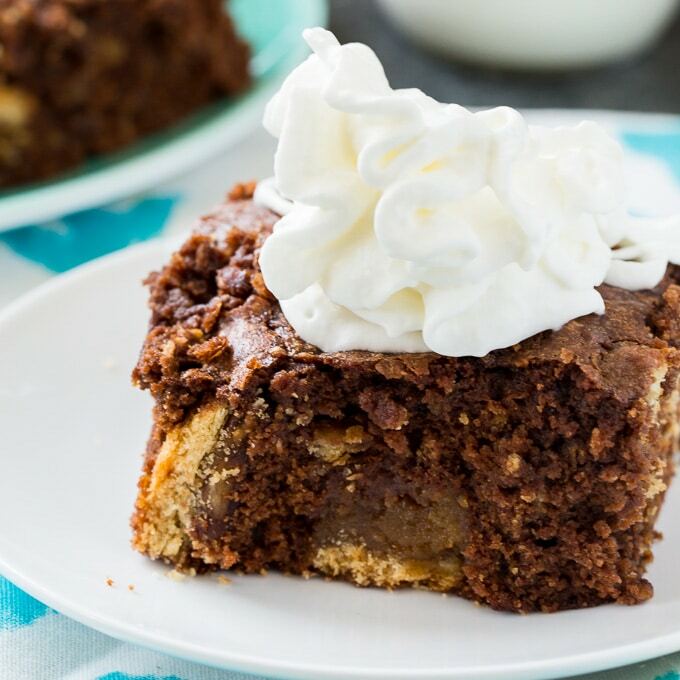 These chocolaty brownies have chunks of pecan pie baked into them. Preheat oven to 350 degrees and grease a 9x13-inch baking dish with cooking spray or butter. Cut the pecan pie into chunks. Place butter and chocolate chips in a microwave-safe bowl. Microwave for 45 seconds. Stir and microwave another 20 seconds if not completely melted. Using an electric mixer beat chocolate mixture, sugar, eggs, milk, and half of the pecan pie pieces until blended. Use a wooden spoon to stir in flour and baking powder. Stir in remaining pecan pie pieces. Transfer batter to prepared baking dish. Bake for 45 to 50 minutes. Cool before slicing. This entry was posted in Brownies and Bars, Desserts and tagged brownies, pecan pie, pecans. Bookmark the permalink.